The Exclusive Winkler Damascus Blue Ridge Hunter with Maple Handle is sold only at KnifeArt. 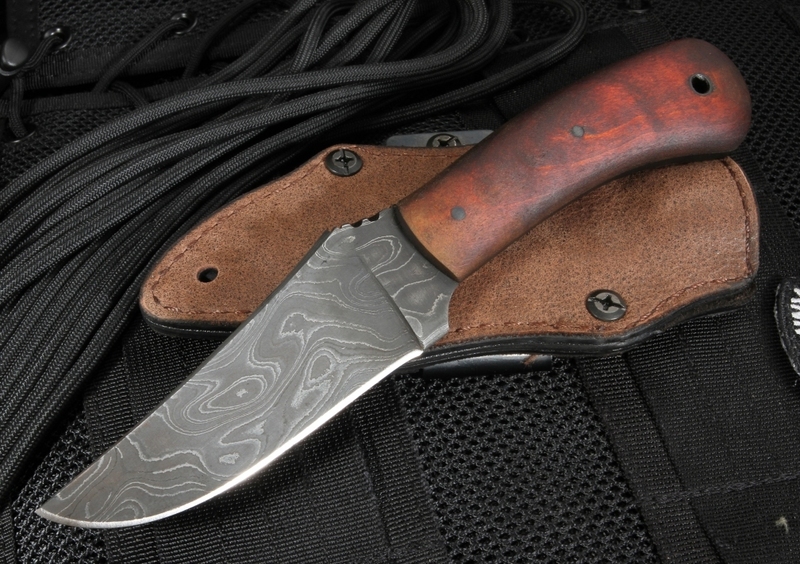 This scaled down version of the Winkler Belt Knife was designed by Daniel Winkler, a bladesmith since 1988 who draws his inspiration for his knife designs from the history of frontier America. Winkler has worked with Special Forces Teams in the United States Military, as well as with Allied Forces from around the world. 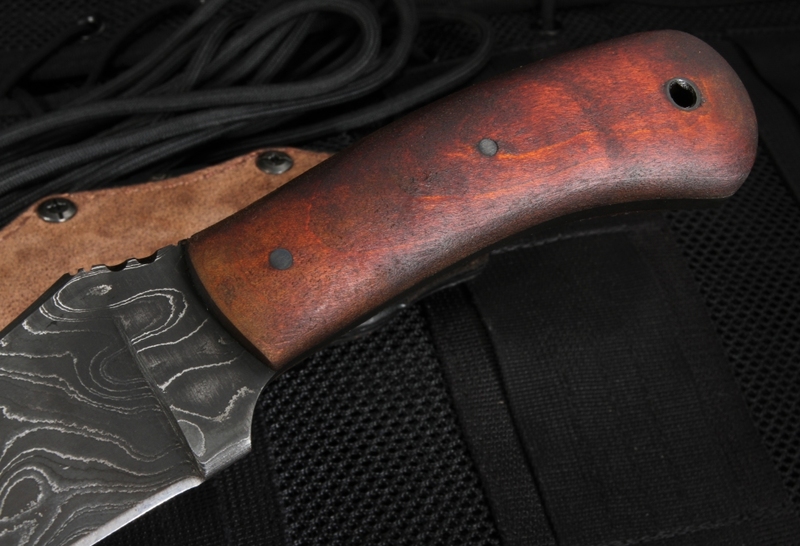 This involvement prompted the establishment of the Winkler Knives II product line. The Exclusive Winkler Damascus Blue Ridge Hunter with Maple Handle has a 4-inch blade made of hand-forged damascus by Brad Vice. The knife has been engineered for balance, so it feels right in the user's hands at all times. This design has a full, skeletonized tang. The knife weighs in at 4.7 ounces and includes a filed thumb rest on the blade spine. The knife is easy to sharpen and ideal for gutting and skinning. The handle of the Blue Ridge Hunter is made of premium curly maple, has a lanyard hole, an integral guard and a no-glare Caswell finish. 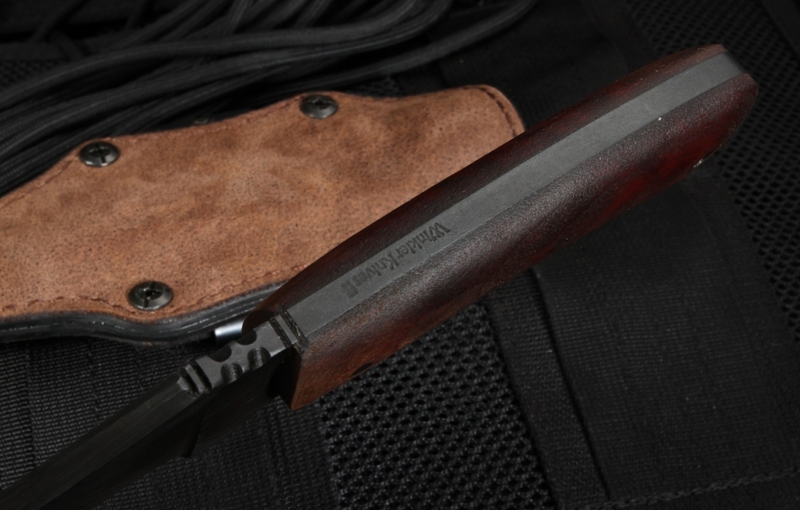 The Blue Ridge Hunter comes with a felt and kydex lined brown leather sheath. 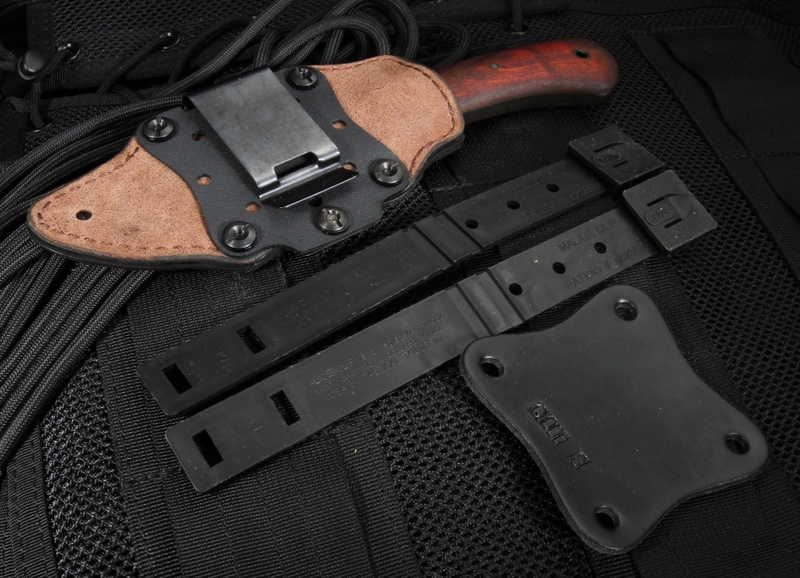 Sheath can be configured for multiple carry options. When you order the Exclusive Winkler Damascus Blue Ridge Hunter with Maple Handle from KnifeArt, you get free shipping and your order is fulfilled within 24 hours on any business day. Customer satisfaction is guaranteed and the knife includes an easy return policy. https://youtu.be/CggGEjjIvn8. I've bought several wonderful items from Knife Art, and they have all been wonderful. This piece is exquisite! 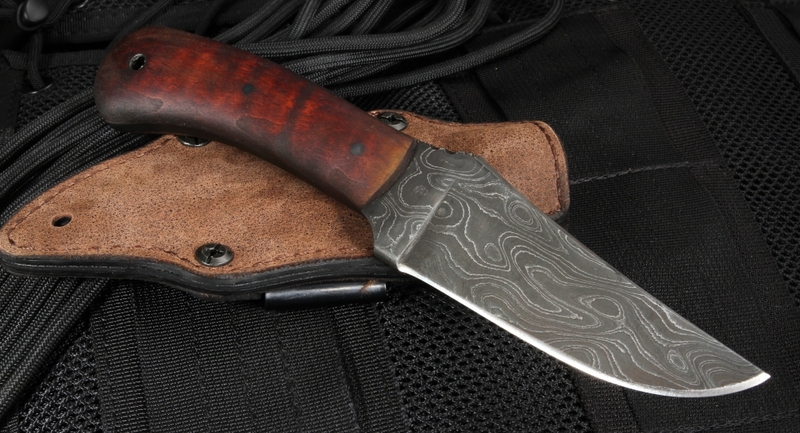 I can't believe it's possible to get a hand forged Damascus Knife made by Daniel winkler in for this price. It is truly a work of art. The shipping was lightning fast. What a wonderful knife. Thank you very much Gentlemen! I'll be back for more treasures.